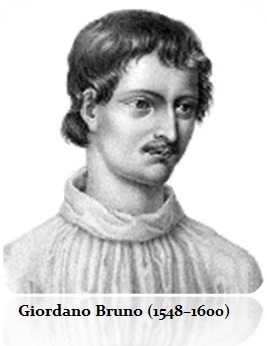 The story of Giordano Bruno (1548–1600) is rarely told. I believe he is a figure from the past that is in need of rescue because he basically is perhaps the first person to envision a dynamic universe building upon Copernicus’ work. His essential theory saw the universe with many worlds and suns basically as we accept today. He gave his life for that proposition. You can imagine that those who believed God created the world, were not about to accept the idea that there were multiple solar systems when they refused to accept that the planets revolved around the sun. In his early life he began in 1562 going to Naples to study humanities and was greatly influenced by G.V. de Colle, whose lectures were themselves influenced by the Muslim philosopher Avetroes (1126-1198) who had been in turn inspired by Aristotle. In 1565, Bruno entered the Dominican convent in Naples and took the name at that time of Giordano. Because of his dynamic thinking process connecting concepts and facts, he was soon suspected of being a heretic. Nevertheless, he was still ordained as priest in 1572. He was sent to study theology, which they no doubt thought would turn his mind. He completed this major effort in July 1575, but this did more now to annoy him creating conflicts in his mind because the principles that the earth was the center and the sun and everything else revolved around it had become a religion belief. If the earth was not at the center and moved, where was heaven and hell? Bruno read two forbidden works by the noted scholar Erasmus (1466-1536) and began to freely discuss that Arian Heresy that held Christ was a man. That crossed the line and he was now charged with heresy. He fled Naples to Rome in 1576. There they trumped up charges of murder and a second excommunication trial was to take place. He again fled in April 1576 abandoning his priesthood and began to wander around northern Italy. In 1578, Bruno went to Geneva, the city of religious refugees. He became now a proofreader and embraced Calvinism. Bruno quickly discovered that the Protestant movement was no more tolerant about free ideas and science than the Catholic Church in Rome. He was again arrested and excommunicated by the Calvinists who forced to retract his statements and beliefs upon pain of death. He complied and was now “rehabilitated” which entitled him to just leave the city. Bruno now departed for France. He went to Toulouse where he tried to be now absolved by the Catholic Church. He was not successful; but strangely appointed to a lectureship in philosophy. He then moved to Paris in 1581. It was in Paris that he found a congenial and more liberal place to work and teach where people now seemed to be embracing knowledge. The French Catholics were much more tolerant and were known as the Politiques. Bruno’s ideas had found a home. In this environment Bruno published his first of many works now freely exploring a new means to obtain an intimate knowledge of reality. He also had published “The Candlemaker” (Candelaio) that was an expose on the society in Naples that amounted to a protest on the moral and social corruption of the times. In 1583, Bruno traveled to London in his thirst to explore the world. He became attracted to Oxford and began to lecture on the theory of Copernicus. But the reception of those at Oxford was far from tolerant. He was effectively chased out and went back to London. Frustrated by the stubbornness of the world at large that was clinging to superstition, Bruno began to write his first systematic exposition of what would become his philosophy that included three chapters on the universe and three on morality. In his 1584 work, “The Ash Wednesday Super” (Cena de Ie Ceneri), he now boldly reaffirms what he maintains is the heliocentric theory of Copernicus and that his belief now included that the universe is infinite and is now composed of innumerable worlds. He tries to reconcile the Bible stating that it should be followed for its moral teaching but NOT for any astronomical implications. He was now challenging everything. Bruno became a prolific writer and deals with a host of subjects from physics where form and matter are connected. He deals with superstitions and dignity of men, and proposes that man should strive for virtue and truth. Bruno also wrote “On the Immeasurable and Innumerable” (De immenso, innumerahilihus et infigurabilibus), where he elaborates on the theory of an atomic basis of all matter and being. Bruno maps out the idea of the structure of everything. Bruno was revealing his brilliant mind grasping the very essence of the structure of the Universe. This knowledge revealed in 1584, won him much respect behind closed doors. It was in August 1591 when Bruno made his fatal mistake. 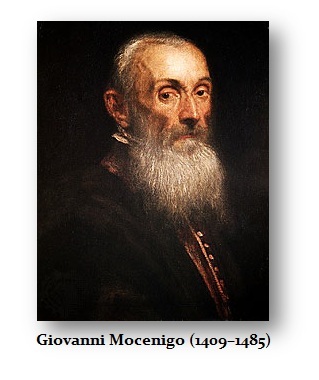 He accepted an invitation from the Venetian to teach him “the art of memory and invention” Giovanni (Zuane) Mocenigo who was the grandson of Giovanni Mocenigo (1409–1485) who had been the Doge of Venice from 1478 until his death in 1485. Venice at the time was viewed as a liberal city in support of the arts and knowledge. He was in ­fact lured by the opening of an academic ven­ue for his lectures and the chair at Padua University was open for mathematics. He went there and began to lecture German students. Unfortunately, Bruno was not offered the chair. It was given to Galileo Galile (1564-1642) in 1592. Thus, Bruno returned to Venice. He was planning to go back to Germany when his patron, perhaps out of jealousy for lacking the ability of Bruno mentally, went to the religious police, the Venetian Inqui­sition in May 1592. Mocenigo was a vile man who accused Bruno of having heretical theories. Bruno defended himself and argued at trial that his theories were philosophical, not theological. Suddenly, the Roman Inquisition demanded his extradition and on January 23rd, 1593, he entered the jail at Rome. He was held for 7 years before trial. Bruno again tried to separate theology from philosophy, but the Roman Inquisition would not buy it. Bruno argued that his ideas were not theological but philosophical. The Church did not accept this. He was twice given 40 days to recant. Pope Clement VIII in the typical lack of a fair trial; demanded he be found guilty. He was tired of fighting for the pursuit of knowledge and free thought. He refused to recant and decided that he would rather die for what he had come to understand than pretend it did not exist. Pope Clement VIII ordered Bruno to be sentenced as an impenitent and pertinacious heretic. On February 17th, 1600, Bruno was taken to the Camo de’ Fior. His tongue was gaged so they would not have to listen to his screams of pain when was burned alive. The importance of Giordano Bruno’s books was basically established by being placed on the forbidden list on August 7th, 1603. The man who beat Bruno in Padua in 1592 for the distinguished chair in mathematics, Galileo Galile (1564-1642) was himself charged by the Roman Inquisition and forced in 1633 to sign the confession or suffer the same fate of Bruno. He died sentenced to life imprisonment where he spent the last 8 years of his life for his ideas as well. Galileo was given a choice. Recant his agreement with Copernicus that the sun was the center of a solar system, or die a horrible death as did Bruno. The threat of knowledge has been so profound and relentless over the centuries, that it is shocking when one takes a step back and looks at what has transpired. 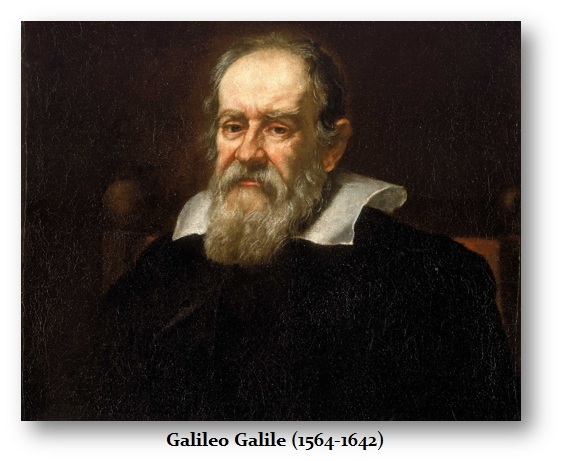 Galileo not only died imprisoned for life because of his beliefs, but he died blind and deliberately bro­ken in spirit. It was not even that the Catholic Church was uniquely evil. Socrates was sentenced to death by the Democracy in Athens for holding beliefs that were contrary to society at that time. What is most disturbing is that the Bible made no statement that the earth was the center of the planetary system. 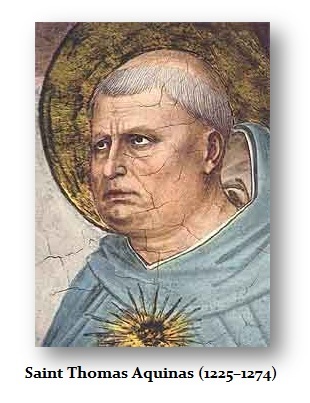 That notion came from Saint Thomas Aquinas (1225–1274), who is best-known for his writings Summa Theologica and the Summa Contra Gentiles. He was one of the 33 Doctors of the Church, and is considered to be the Church’s greatest theologian and philosopher. However, he took this idea that the earth was the center of the universe from the Greek astronomer and map-maker Ptolemy. Despite the lack of any such reference to the sun being the center of the universe, it was seen as doctrine to justify killing Bruno and imprisoning Galileo for life on an ancient theory of a pagan astronomer. Galileo was a man who longed to just close his eyes and pass into the night peacefully suffering under a sentence of life imprisonment. Yet, for every­thing that was done to him in the name of religion, they sought to destroy even the memory of the man after his life. They made a deliberate effort to destroy all of his written work, and they even disputed his right to be buried on consecrated ground. He was even denied a tombstone in an effort to ensure no one would ever remember this man. Such vile hatred of knowledge and freedom of thought is beyond belief. The sad part, it is still a dominant human characteristic that appears whenever someone challenges the status quo.